(SYRIA) H. Res. 520: Introduced 3/14 by House Foreign Affairs Committee Chairman Royce (R-CA) and Ranking Member Engel (D-NY), “Calling for an end to attacks on Syrian civilians and expanded humanitarian access.” Referred to the House Committee on Foreign Affairs. Royce and Engel statements on the introduction of the bill are here. (TURKEY) S. Res. 403 : Introduced 3/27 by Murphy (D-CT) and Johnson (R-WI), “A resolution condemning the actions of the Government of Turkey in restricting free expression and Internet freedom on social media.” Referred to the Committee on Foreign Relations. (SYRIA) S. Res. 384: Introduced 3/14 by Kaine (D-VA) and having 21 cosponsors, “A resolution expressing the sense of the Senate concerning the humanitarian crisis in Syria and neighboring countries, resulting humanitarian and development challenges, and the urgent need for a political solution to the crisis.” On 4/1, the bill is scheduled to be considered in the Senate Foreign Relations Committee. (RECONCILIATION FUNDING) Crowley Dear Colleague: On 3/26 Crowley (D-NY) circulated a Dear Colleague seeking cosigners on a letter to Chairwoman Granger (R-TX) and Ranking Member Lowey (D-NY) of the Foreign Operations Appropriations Subcommittee. The letter seeks continued support for Middle East people-to-people reconciliation and co-existence programs in FY 2015. The letter reportedly will be open for signatures until 4/4. 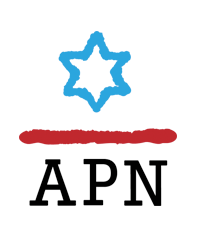 APN is encouraging members to cosign the letter. (SYRIA) Menendez-Corker letter: On 3/14, a group of 9 senators, led by Senate Foreign Relations Committee Chair Menendez (D-NJ) and Ranking Member Corker (R-TN) sent a letter to President Obama urging him to “engage Congress as your team moves forward in developing and implementing policy options” on Syria. (IRAN) Cantor-Hoyer letter: On 3/18, the Cantor-Hoyer Iran letter – one of the centerpieces of the recent AIPAC policy conference – was sent to president Obama, signed by 394 House members (216 Republicans and 178 Democrats). For background on the letter, see the March 14 edition of the Round-Up. Cantor’s (R-VA) press release is here. Also see press releases from Engel (D-NY) and Rigell (R-VA). The AIPAC database of signers is available here (and indicates as of this writing a total of 391 signers, as opposed to the 394 referenced in the Cantor press release). (IRAN) Menendez-Graham letter: On 3/18, the Menendez-Graham Iran letter – one of the centerpieces of the recent AIPAC policy conference – was sent to president Obama, signed by 83 senators. For background on the letter, see the March 14 edition of the Round-Up. Menendez’s (D-NJ) press release is here. Kirk’s (R-IL) press release on the letter is here. The AIPAC database of signers is available here. Non-signers of the Menendez-Graham letter were: Reid (D-NV), Senate Majority Leader; Boxer (D-CA, Jewish), Committee on Environment and Public Works Chair; Carper (D-DE), Committee on Homeland Security and Governmental Affairs Chair; Corker (R-TN), Foreign Relations Committee Ranking Member; Feinstein (D-CA, Jewish), Select Intelligence Committee Chair; Harkin (D-IA), Committee on Health, Education, Labor and Pensions Chair; Johnson (D-SD), Committee on Banking, Housing, and Urban Affairs Chair; Leahy (D-VT), Committee on the Judiciary Chair; Levin (D-MI, Jewish), Armed Services Committee Chair; Rockefeller (D-WV), Committee on Commerce, Science, and Transportation Chair; Sanders (D-VT, Jewish), Committee on Veterans' Affairs chair; Baldwin (D-WA); Brown (D-OH); Flake (R-AZ), SFRC; Inhofe (R-OK); Paul (R-KY), SFRC; and Schatz (D-HI, Jewish). (IRAN) Sen. Levin (Cantor-Hoyer) letter: On 3/22, a letter led by Levin (D-MI) – comprised of the Cantor-Hoyer text, discussed above – was sent to President Obama, cosigned by 22 of Levin’s fellow senators. For background on the Levin letter initiative, see the March 14 edition of the Round-Up. Also see the JTA’s report: “Sen. Carl Levin garners 23 Dems for softer-toned Iran talks letter.” The Levin-Cantor-Hoyer letter was signed by: The Senate letter was signed by: Levin (D-MI), Wyden (D-OR), Heinrich (D-NM),Harkin (D-IA), Al Franken (D-MN), Johnson (D-SD), Kaine (D-VA), Udall (D-NM), Walsh (D-MT), Cardin (D-MD. ), Mikulski (D-MD), Whitehouse (D-RI), McCaskill (D-MO), Reed (D-RI), Brown (D-OH), Hirono (D-HI), Tester (D-MT), King (I-ME), Warner (D-VA), Shaheen (D-NH), Warren (D-MA), Manchin III (D-WV), and Nelson (D-FL). 3/26: The Senate Foreign Relations Committee held a hearing entitled “Syria After Geneva: Next Steps for U.S. Policy”. Panel 1 witnesses were Assistant Secretary of State for Near Eastern Affairs Anne Patterson (testimony); and Tom Countryman, Assistant Secretary of State for International Security and Nonproliferation (testimony). Panel 2 witnesses were David Kilcullen, Caerus Associates (testimony); Vali Nasr, SAIS (testimony); and Jan Egeland, Secretary General of the Norwegian Refugee Council (testimony). Menendez opening remarks are here. Rohrabacher (R-CA) 3/14: Arguing that what is happening in Egypt is far more important than the Crimea situation and slamming the U.S. failure to support/fund the military government there (“The Egyptian army is the most potent force standing between radical Islam and its objective to terrorize and subjugate whole populations throughout the Middle East and thus put themselves into a position of facing down and defeating Western civilization” and “our reluctance to back the stance of Egypt is emboldening the radical Islamic terrorist elements”).